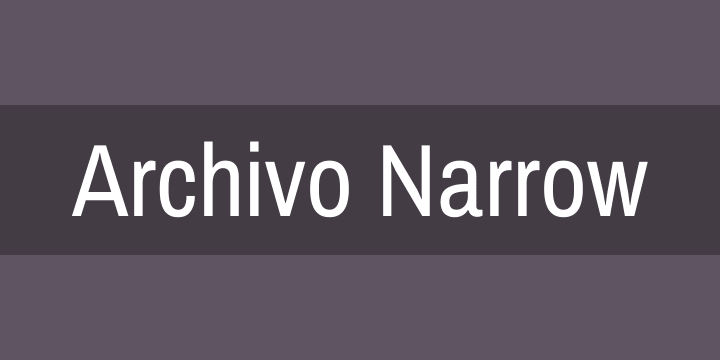 Archivo Narrow was designed to be used simultaneously in print and digital platforms. The technical and aesthetic characteristics of the font are both crafted for high performance typography. Archivo is a grotesque sans serif typeface family from Omnibus-Type. It was originally designed for highlights and headlines. This family is reminiscent of late nineteenth century American typefaces. It includes Narrow and Black styles, and was derived from Chivo.